EverEden Latex Topper to Make a Too Firm Mattress Comfortable. Mattress Needs a Soft Talalay Latex Topper to Relieve the Pain from Fibromyalgia and a Sore Hip. Simmons Beautyrest Mattress, The Westin Heavenly Bed, for a 300 pound man? 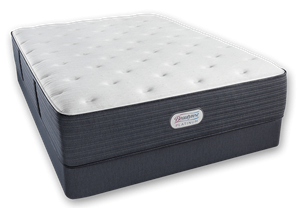 A Natura of Canada Greenspring Mattress for Large People with DDD, Scoliosis, Arthritis. Novafoam memory foam/gel topper with heated mattress pad. Replacement Latex Topper for my Duxiana Bed. Latex or Memory Foam Mattress Topper to England. Old Stearns and Foster Exeter Mattress needs a latex topper. Wolf Adrian Latex Hybrid One Sided Mattress vs Wolf Tulah Two Sided Model with Latex Topper. Degenerative Disc Disease getting worse on a memory foam mattress. A Soft Talalay Latex topper for a Simmons Extra-Firm Beautyrest Black Alexia mattress. A Vytex Dunlop Latex Topper for a Pillowtop mattress that has lost its shape. Scoliosis & Fibromyalgia, All Latex Mattress. Scoliosis, Back Pain, Sealy Mattress with deep body impressions. Fibromyalgia, Simmons Beautyrest Mattress with a Soft Latex Topper.